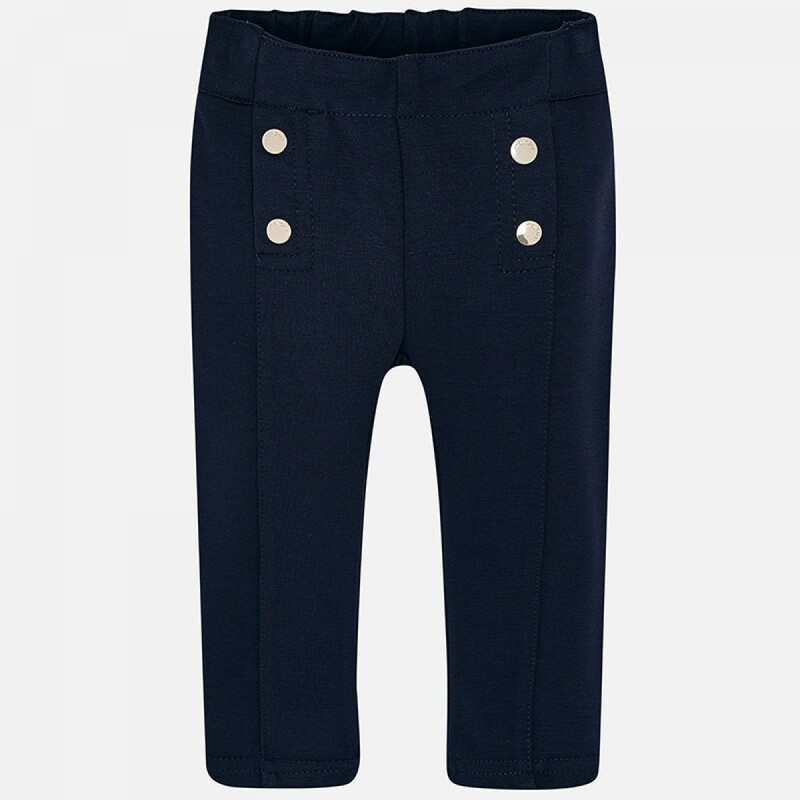 We love these beautiful infant leggings from Mayoral. With shiny branded decorative buttons on the front, and made in stretchy jersey with an adjustable elasticated waistband, they're a piece that are going to have her looking effortlessly elegant, however you style them up. We love the extremely modern design of these leggings, making them sophisticated and perfectly on trend this season. They're very versatile, and will look amazing either dressed up or for casual wear. Ideal for the colder months, the beautifully soft materials are sure to keep your little one cosy and warm all winter long.